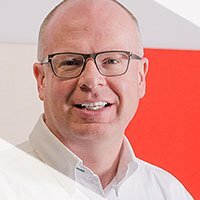 In an interview with Neil Hockley, Team Leader, Product Management Audiology, we share details of the latest big project at headquarters. Question: There’s been lots of activity in the office lately, what’s going on? Answer: We have been building a new Sound Studio. With the construction of the new room, we will have the capacity to have a dedicated multichannel test environment within a sound attenuated space that is large enough to accommodate a circular arrangement of loudspeakers. It will increase our testing capacity to support our products. Q: What’s special about the new Sound Studio in terms of the structure/build? A: The Sound Studio was built by IAC Acoustics in Niederkrüchten, Germany and was then transported over 600 km on two trucks to Bern. The assembly was done by hand by a team of specialists over a period of 3 weeks. The room has two walls and an insulated subfloor and ceiling, so it is very heavy – close to 17 tons. The room is double walled to reduce the intrusiveness of external background noise. The interior is well lit with LED lights and there is a dedicated ventilation system to provide comfort to anyone inside. There are also fabric-covered acoustic panels inside to reduce the effects of reverberation. The room is large enough to give a feeling of space to whomever is inside, as it is important for any test person to feel comfortable. 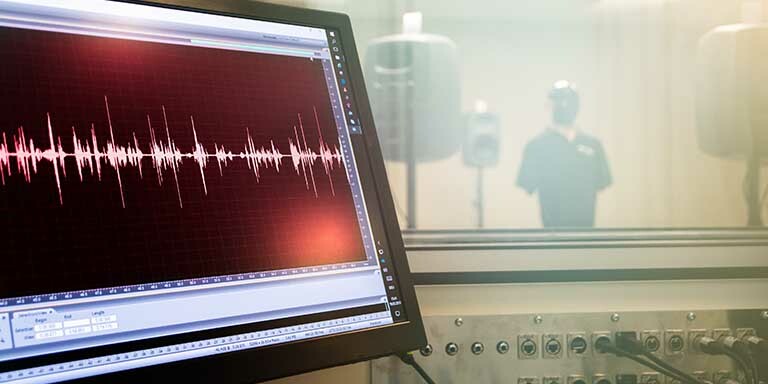 The Sound Studio has been tested and evaluated according to strict specifications by an external consultant so that we have detailed knowledge about this acoustic environment. Q: What special equipment will we have inside? A: We will have 6 Genelec 8050B active bi-amplified loudspeakers arranged in a circular pattern on height-adjustable stands. These speakers are designed and manufactured in Finland. Active loudspeakers have the amplification built in to the speakers themselves, so no additional amplifiers are needed. The result is that cabling will be kept to a minimum. A multichannel sound card and a powerful PC will complete the test system. We have a custom designed patch board to route cables outside the room which means that we can keep the PC and the sound card outside the room. 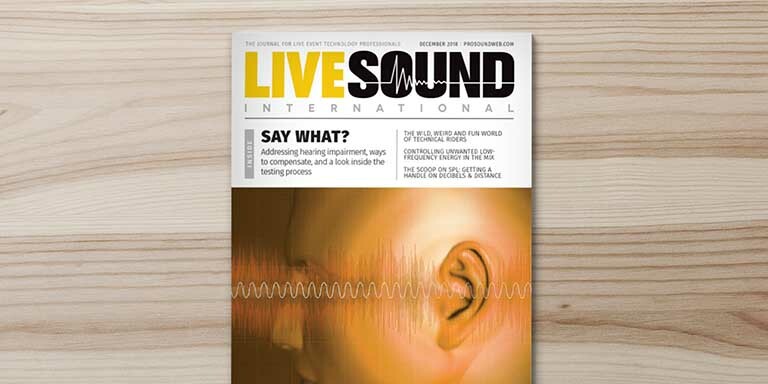 Q: How will the Product Management Audiology Team use the new Sound Studio? A: We will be able to test new features with our test subjects and complete the final validation of our products. The data that we collect can also be used for conference presentations and articles. We’ll publish our presentations, and articles online in the Bernafon Library. Q: It sounds like an exciting project for you. A: I was given this project to manage a year ago. I am very proud to have been involved with such a massive project – I learned a lot. It is amazing to see the room develop from ideas on a piece of paper, to architectural drawings, to finally seeing it in place. A huge number of people have been involved such as architects, structural engineers, acoustic consultants, painters, electricians, electrical technicians, and specialist builders, to name just a few. Many thanks to everyone involved. Interesting room for for hearing (device) research. Was a hearing loop included? Thank you for your comment. Yes loop systems are very important. We have not installed one in the room yet.